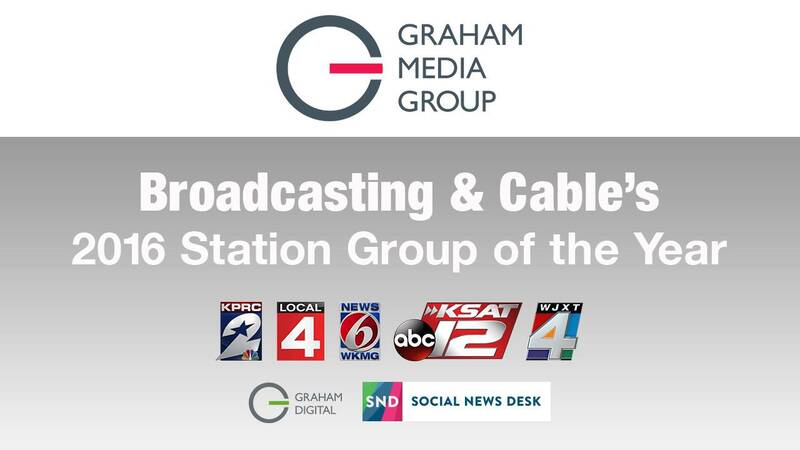 SAN ANTONIO - Graham Media Group, the parent division of KSAT 12 News, has been named the Station Group of the Year for 2016 by "Broadcasting & Cable," a leading television and digital industry publication. Led by Chicago-based president and CEO Emily Barr, the group currently has five broadcast stations, in addition to ownership in digital and social media properties. 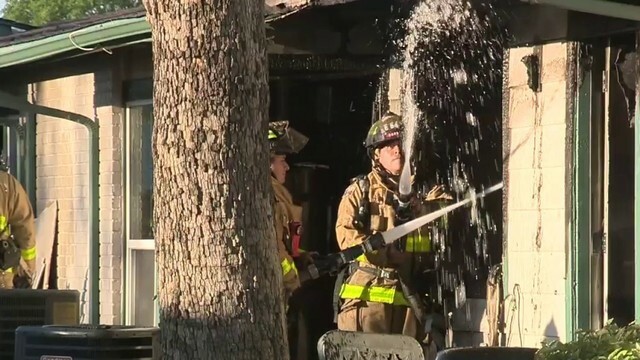 Graham’s station portfolio includes NBC affiliates in Houston (KPRC) and Detroit (WDIV), a CBS affiliate in Orlando, Fla. (WKMG), an ABC affiliate in San Antonio (KSAT), and an independent station in Jacksonville, Fla. (WJXT). Despite having only five stations, each is in a top-50 market, reaching at total of 6.4 percent of U.S. television households. KSAT and WJXT consistently produce the most watched newscasts in their respective markets by significant margins. KPRC and WDIV are both rated number No. 1 or No. 2 in target demographics while competing head-to-head with stations owned by the big four networks in each city. WKMG in Orlando recently became the most watched station for the critical November rating period for late news. Part of the success of Graham Media is each station’s deep commitment to their local markets. KPRC helped raise over $6 million in 2016 by partnering with local charities. Viewers relied on WDIV during the Flint water crisis and WKMG after the Pulse nightclub shooting, the worst mass shooting in modern U.S. history. KSAT launched a program to help battle the growing opioid crisis. WJXT was the station viewers relied on during Hurricane Matthew and was the most watched station on election night. While the election was arguably the biggest national story of the year, KSAT won the night both online and on-air. Graham Media is also on the leading edge of the move toward digital and smart phone consumption. The company owns Social News Desk, an Atlanta-based creator of software that helps newsrooms around the world curate, post and track social media. Graham Digital is a unit operating out of Detroit, tasked with staying ahead of the curve on emerging technology and meeting the growing demand of multiplatform content delivery. The group also invested an ownership stake in StormPins, a crowd-sourced weather app with plans to broaden its approach in 2017. The five station’s websites averaged more than 11 million monthly unique users in 2016 and the numbers are growing. Each station live streams every newscast, and in the past year alone, mobile web use for the stations content grew by 20 percent, mobile app users were up by more than 100 percent and users of weather apps grew 75 percent. While many station ownership groups are consolidating and centralizing production, Graham Media is doubling-down on its commitment to their local markets. Houston, Detroit, San Antonio and Jacksonville have all launched locally-produced, daily lifestyle shows within the past year-and-a-half. 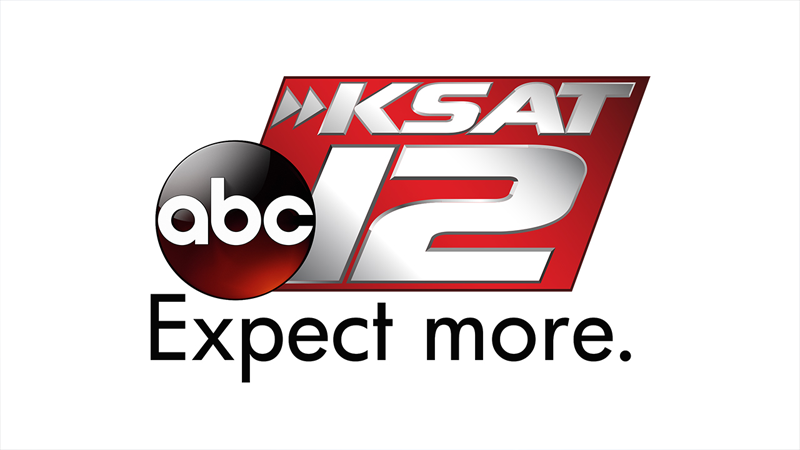 KSAT recently built a new facility, and KPRC is currently constructing a state-of-the-art broadcast center set to open in the second quarter of 2017. Graham is also finalizing purchases of WSLS in Roanoke, Va., and WCWJ in Jacksonville, Fla., making the group well positioned for big things in 2017 and beyond.